As the heat of February hurries the plants into seeding, I decided to harvest the abundant basil in the herb garden and make some pesto. 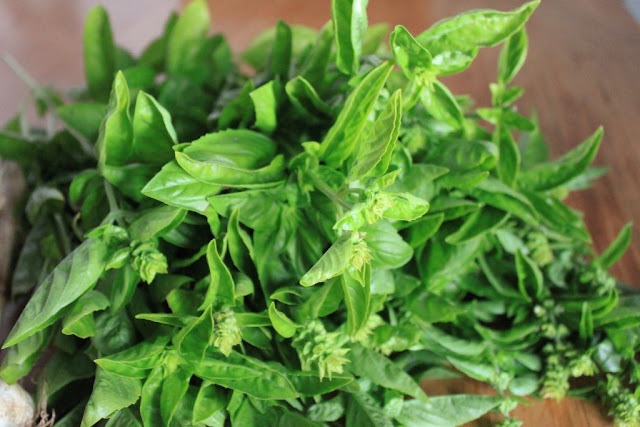 It was a way to use a healthy picking of this versatile herb and have it handy for spreading on bruschetta, using in stews, dips and mashed potatoes and in pastas. 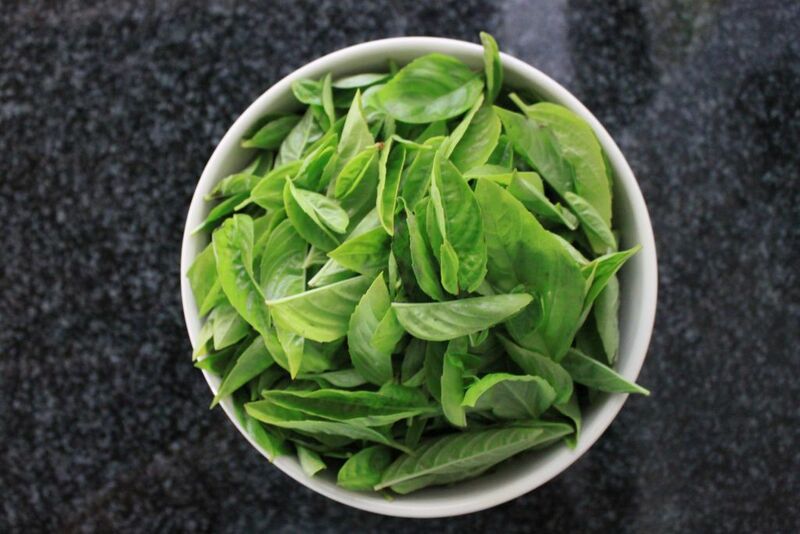 Basil is known as the king of herbs. It has reportedly been cultivated in India for over 5000 years. 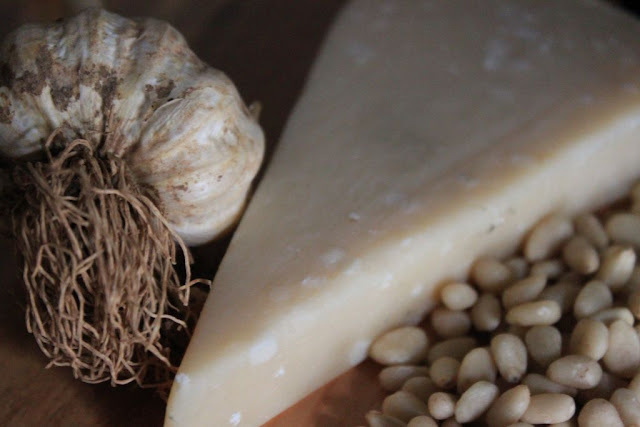 Today, it conjures up images and flavours of Italian cooking. From a delicious Caprese salad made of sliced fresh mozzarella, tomatoes and green basil, seasoned with salt and olive oil and resembling the colours of the Italian flag, to a pine-nut rich pesto with parmesan cheese. 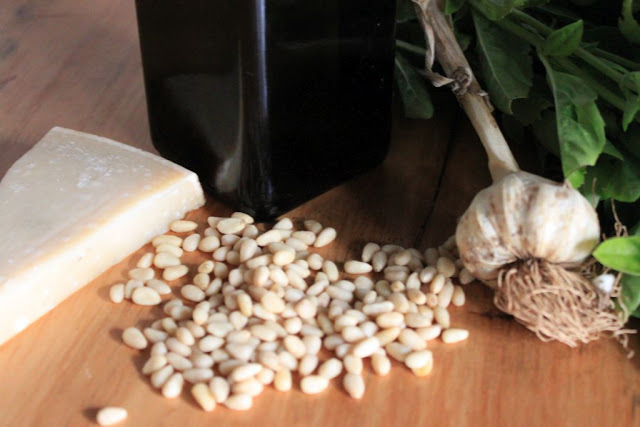 On a hot summers day I filled the cool kitchen with the fresh fragrances of basil, pine nuts, garlic and parmesan cheese. 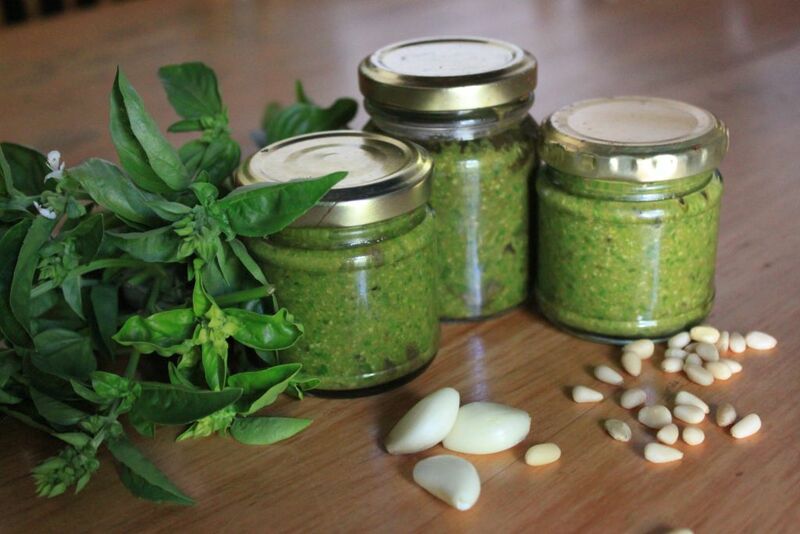 For me, basil is the aroma of Mediterranean cooking and pesto is the culmination of all the earthiest flavours that one can find in the region. Picking basil, I noticed that the big white pumpkins were now even bigger and that their big green leaves were no longer shading them. I then realised that it is time to harvest the first three ‘boerpampoen’ pumpkins and let them season for a few weeks before storing. The pumpkins will add their own deliciousness to autumn and winter meals, either in a pumpkin and lamb stew, or simply glazed with honey and cinnamon. 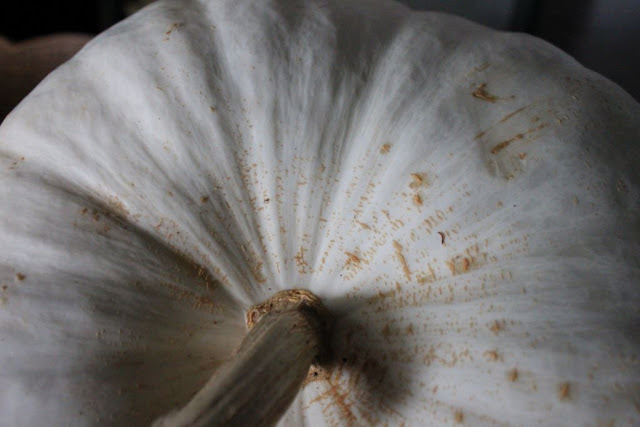 For now, I just love their beautiful big white pumpkin shapes. On a hot summer’s day, the kitchen at Towerwater was a visual feast spiced with pumpkin and pesto. 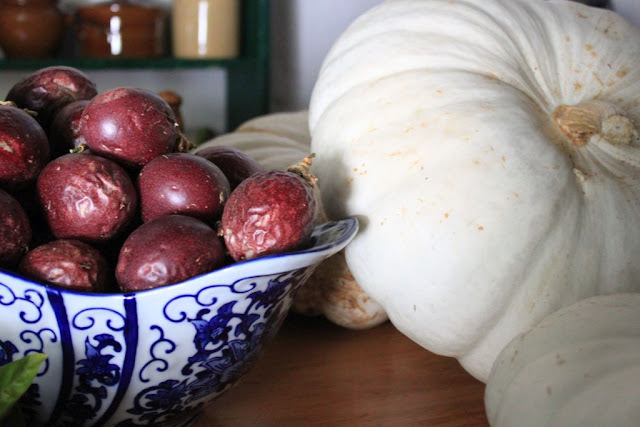 If I had the luxury of time, I would take out my brushes and canvas and paint a still-life of pumpkins and pesto; regretting that one cannot capture the fragrance of a scene on canvas. A well integrated kitchen and veggie garden is a never-ending source of joy and culinary inspiration. Well done!